Utilities, utility software, tools, utilities for free download USBWriter, PDFedit, AntiDupl, GSmartControl, IsoCreator, Win32 Disk Imager, Brackets, Double Commander, AZARDI, AlfaReader Download for free! USBWriter ::: a computer program that allows users to burn USB devices. Using USBWriter you can burn disk images to USB devices. USBWriter is especially used to create bootable USB flash drives with Linux installation distributions. PDFedit ::: a computer program that allows users to edit PDF documents. Using PDFedit can add or delete text, add or delete images, add or delete pages. PDFedit is very useful for organizing and managing PDF files. AntiDupl ::: a maintenance program that allows users to detect duplicate files. Using AntiDupl can detect and remove duplicate photos. 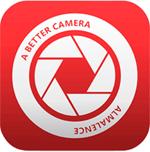 AntiDupl, scans and detects duplicate photos saved in different folders or formats. GSmartControl ::: a computer program used to analyze the hard drive. Using GSmartControl you can verify the performance and health of the hard drive. GSmartControl is a simple, stable, secure and very efficient software. IsoCreator ::: a computer program that allows users to create ISO images. Using IsoCreator, you can create ISO images from folders and files. IsoCreator is a stable, fast and efficient ISO image creation program. 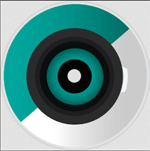 »» Free download Win32 Disk Imager! Win32 Disk Imager ::: a computer program that allows users to burn SD cards or removable USB devices. Win32 Disk Imager is very useful for integrated development projects. Brackets ::: a computer program that allows users to edit text documents. Using Brackets can create and edit different text documents. Brackets is ideal for writing code in different programming languages. »» Free download Double Commander! Double Commander ::: a computer program that allows users to manage files and folders. Double Commander has several functions for searching, selecting and sorting files. AZARDI ::: a program for different devices that allows users to read e-books. Using AZARDI can read eBooks in the ePub format. AZARDI offers easy navigation and includes a search engine. AlfaReader ::: a computer program that allows users to read e-books. Using AlfaReader can read eBooks in the most popular formats. AlfaReader allows different reading modes, has different tools for searching and zoom.